Hey everyone! It’s your favorite little blue bird checking in after a much-too-short summer break. But, my reappearance can only mean one thing: the #AcAdv Chat is back! Join us for the 2013-2014 kick-off chat on Tuesday, September 10 from 12-1 CST. Keep your eyes on Twitter for the topic poll coming out later this week. And while you’re at it, pencil us in on your calendar Tuesdays from 12-1 CST for the entire year! Introduce your friends to the chat, stretch those tweeting fingers (or wings), and join us for our fourth year of weekly, free professional development. We’ll celebrate our 100th chat on September 17 and have some other new ideas to incorporate this year. It’s sure to be a great one! This entry was tagged acadv, acadvchat, advising, chat, highered, poll, tuesday, twitter. Bookmark the permalink. 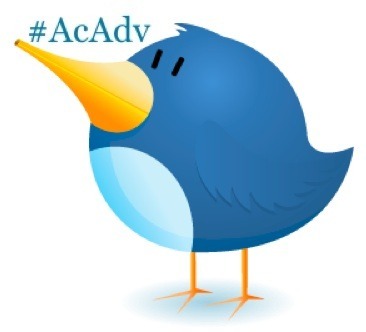 ← #AcAdv Chat is Going on Spring Break!